& The Surviving Remnant in Germany: Professor Avinoam Patt will give a talk on the life and work of Rabbi Abraham Klausner, who lived in Santa Fe after his retirement from Temple Emanu-El in Yonkers in 1989 until his death in 2007. 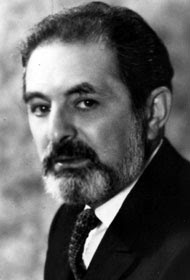 Rabbi Klausner is widely known as one of the first rabbis into the camps at the end of World War II when he arrived to Dachau. He had a major role in organizing people and helping the transition to life after the camps. 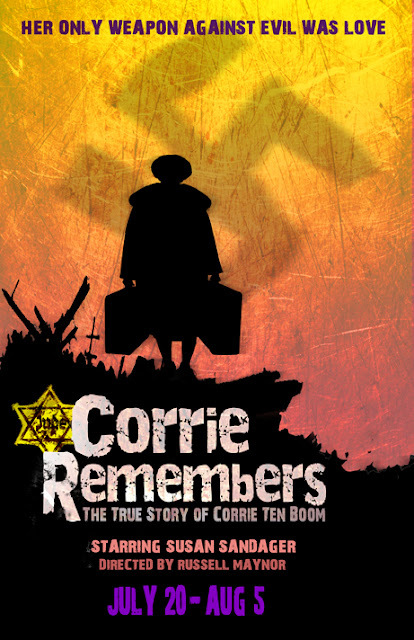 Rabbi Klausner advocated on behalf of survivors before American military authorities and securing much needed medical, food, and clothing supplies for them after liberation. 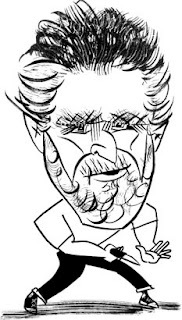 Avinoam J Patt, PhD is the Philip D. Feltman Professor of Modern Jewish History at the Maurice Greenberg Center for Judaic Studies at the University of Hartford, where he is also director of the Museum of Jewish Civilization. He is also the co-editor of We are Here: New Approaches to the Study of Jewish Displaced Persons in Postwar Germany. Of Blessed and Melodious Memory: Tony Martin, the debonair baritone whose career spanned some 80 years in films and nightclubs and on radio and television, died on Friday at his home in West Los Angeles. He was 98. 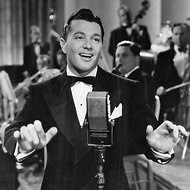 Mr. Martin represented the fantasy of the impossibly elegant troubadour warbling to equally elegant (and mythical) audiences at nightclubs and balls. Mr. Martin’s long life in show business began in the late 1920s, when he formed his first band at Oakland Technical High School in California. 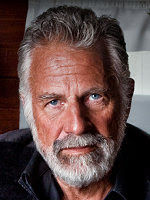 He was still performing in nightclubs around the country well into the 21st century. 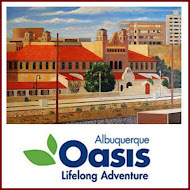 August 3-5 in El Paso: Abq Jew is pleased to announce this weekend's 9th Annual Anousim Conference, featuring speakers, poets, musicians, and guests from throughout the Crypto Jewish world. The Keynote Speaker will be writer, author, editor, curator, and historian of the Jewish world Shelomo Alfassa. Additional speakers will include Rabbi Stephen Landau, Miriam Herrera, Dr Roger Martinez, and Sonya Loya. Conference Registration: $110. Includes all programs, Shabbat dinner, Shabbat Kiddush lunch, Seudah Shleesheet, and Sunday morning bagel and coffe breakfast. The community is invited to participate: $18 per meal. To Life! To Life! L'Chaim! 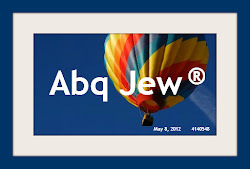 On July 29, 2012, at 5:20 pm New Mexico (Mountain) Time, approaching the end of Abq Jew 's Tisha b'Av observance, this Abq Jew Blog achieved 36,000+120 All Time Page Views. 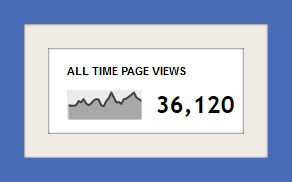 We achieved 30,000+3 All Time Page Views on June 12 - almost seven weeks ago. That's just about 130 Page Views per Day. Three Reasons Not to Watch the Olympics: Can it be an accident - or an oversight, if you will - that the Opening Ceremonies of the 2012 Summer Olympics are scheduled for Erev Tisha b'Av, the saddest day in the Jewish year, a fast day that commemorates the destruction of the First and Second Temples, as well as other disasters that have befallen the Jewish people? This year, Tisha b'Av actually falls on Shabbat. Since we are not permitted to mourn on Shabbat, the observance of Tisha b'Av is "pushed off" until Saturday night and Sunday. But the ninth day of Av begins, in fact, at the same time as the Opening Ceremonies. So, there are the first two reasons not to watch the Opening Ceremonies - Shabbat and Tisha b'Av. But it's the third reason that has the entire Jewish world, certainly including Abq Jew, angry and upset. 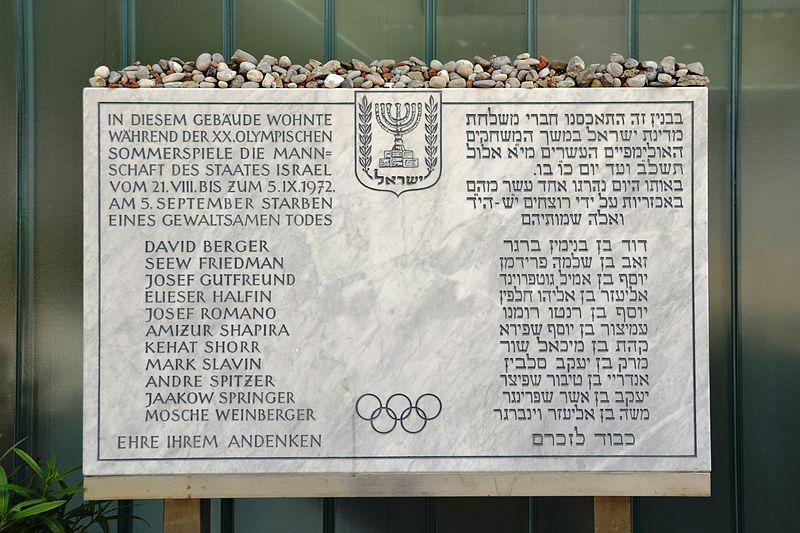 It has been forty years since the terrorist attack on the Israeli Olympic team in Munich. 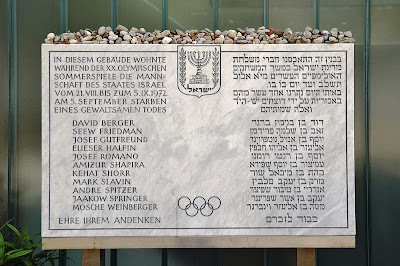 It has been forty years since that terrible day the eleven Israeli Olympic athletes were murdered by Palestinian terrorists at the 1972 Munich Olympics. For those of you too young to remember, Wikipedia offers a full account of the Munich Massacre - which took place but a few days before Rosh HaShanah 1972. While we Jews have periodically and publicly commemorated the deaths of the eleven Israeli Olympic athletes, the International Olympic Committee (IOC) never has. That is unlikely to change at the London 2012 Olympics - despite the IOC's hasty and unannounced - almost secretive - ceremony at the Athletes' Village on Monday. All she [Ankie Spitzer, the widow of Andrei Spitzer, the fencing coach for the 1972 Israeli Olympic team] wants is a moment of silence, observed by the delegations of the 205 countries participating in the London games — a simple public recognition of the horrific events that needs to happen now, finally now, before memories fade and loved ones die. But the IOC stubbornly refuses, contending that its members regularly pay tribute to the fallen athletes and coaches at memorial receptions held by the Israelis. That’s nice of them. An Israeli commemoration, however, is no substitute for an expression of mourning by the entire Olympic community. It sends a completely different message. 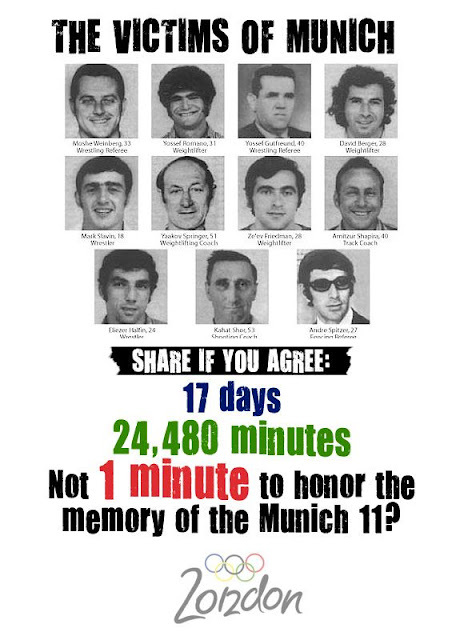 The nationalistic quality of the Munich massacre cannot be ignored. The victims, though they hailed from many different countries, were there as Israelis. That is why they died. Black September did not commit a random act of terror; theirs was a targeted political statement. But to hide behind that political message as the IOC seems to be doing, and to pretend somehow that honoring the victims takes a side in the Israeli-Palestinian conflict, is deeply offensive and morally repugnant. A moment of silence, instead, sends this message: Terror is not a welcome participant in the Games. Ever. In the years since , the families of the victims have repeatedly told the IOC that all they want is a chance to mark the murder of athletes who had traveled to the games to do precisely what athletes do: compete at their very best. 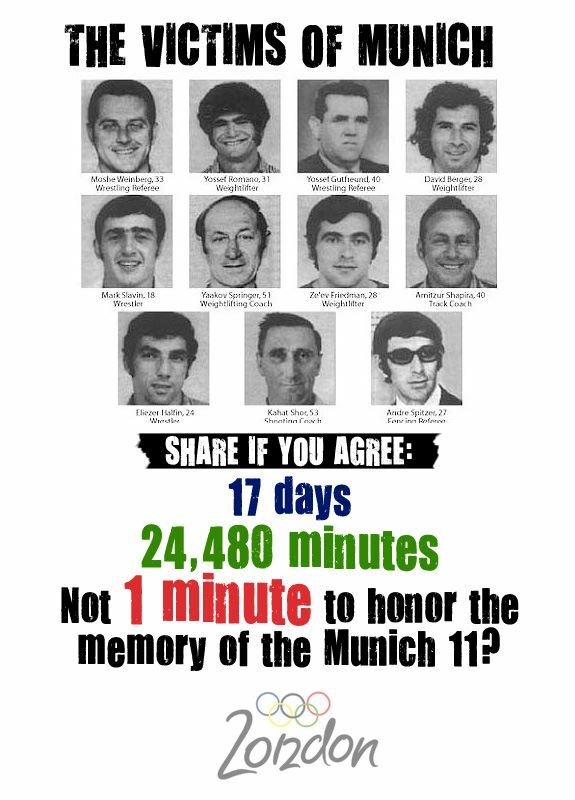 These victims deserved to be remembered by the very organization that had brought them to Munich. Why the IOC refusal? The Olympic Committee’s official explanation is that the games are apolitical. 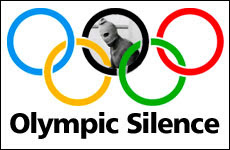 The families were repeatedly told by long-time IOC President Juan Samaranch that the Olympic movement avoided political issues. He seemed to have forgotten that at the 1996 opening ceremony he spoke about the Bosnian war. Politics were also present at the 2002 games, which opened with a minute of silence for the victims of 9/11. The families have also been told that a commemoration of this sort was inappropriate at the opening of such a celebratory event. However, the IOC has memorialized other athletes who died “in the line of duty.” At the 2010 winter games, for example, there was a moment of silence to commemorate an athlete who died in a training accident. The IOC’s explanation is nothing more than a pathetic excuse. The athletes who were murdered were from Israel and were Jews—that is why they aren’t being remembered. The only conclusion one can draw is that Jewish blood is cheap, too cheap to risk upsetting a bloc of Arab nations and other countries that oppose Israel and its policies. 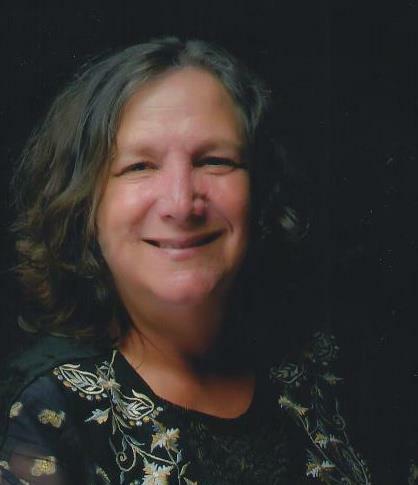 Chaplain Linda Sue Friedman: As of June 19, Abq Jew is pleased, honored, and just really happy to announce, the Jewish Federation of New Mexico has a new President. 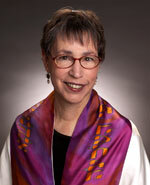 She is Chaplain Linda Sue Friedman, and she is the former JFNM Vice President, Financial Resource Development. Linda Friedman, a longtime community leader and philanthropist, was installed as President of the Jewish Federation of New Mexico at the JFNM Annual Meeting on June 19th. She successes Hank Crane, who completed his two-year term that evening. A Milwaukee native, Friedman grew up in the Federation movement, with her commitment to Israel and the Jewish people strengthened through her experience with WUJS Israel. While serving as the JFNM’s Campaign Chair for eight years, Friedman completed the Presbyterian Healthcare Services Chaplaincy program in 2008, and joined Jewish Family Service of New Mexico’s Jewish Chaplaincy Program as a volunteer Chaplain and facilitator of the Chevra Kaddisha (Jewish Burial Society). 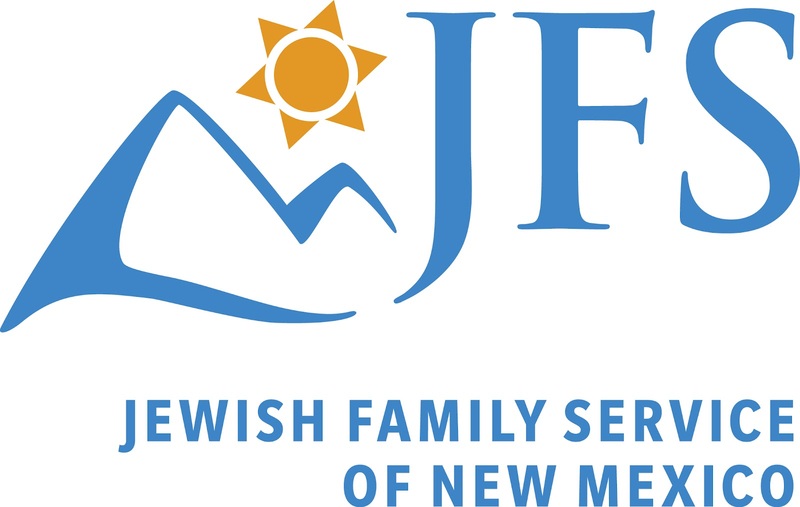 With JFNM, Friedman was instrumental in expanding the Federation’s reach statewide, as well as creating the Jewish Women’s Endowment Fund of the Jewish Community Endowment Foundation of New Mexico. 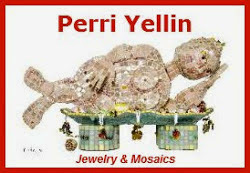 In recognition for her efforts, Friedman received JFNM’s Woman of Valor Award, Jewish Family Service of New Mexico’s Volunteer of the Year Award in 2009, and also received the MOVE (Mayors Outstanding Volunteer Award) from the city of Albuquerque for her service as well. Friedman is mother to Daniel and Anna, and grandmother to two. She lives with her partner, Jill Bulmash, in Albuquerque. Ah, but Abq Jew got the real scoop, and - thanks to an exclusive interview - found out exactly how Linda has managed to rise to this position of influence and power. Or, in other words - what has Linda done to deserve this? First of all, there was Linda's grandmother - Minnie Dinkin, of blessed memory - who taught Linda "unconditional love." So much so that each of Minnie's nine grandchildren was convinced that he or she was Grandma's favorite. But Linda knows for certain that she was. And then, there are Linda's "amazing" parents - father Sidney, of blessed memory, and (lehavdil) mother Elaine, of Milwaukee and (lehavdil) Boca Raton. And Linda's two kids and two grandkids, the "diamonds" of her life. But, you ask, what has Linda done? Abq Jew refers you to the list above, to which he adds Linda's founding (with Diane Chodorow) of the Jewish Family Service's DVora Project and Linda's position on the Board of Common Bond New Mexico. In any event ... well, actually, at the JFNM Annual Meeting ... Linda sent in the remarks that follow, which were read by Sam Sokolove. Linda and her partner Jill, it seems, were on a boat to Russia at the time. I’m sorry that Jill and I can’t join you this afternoon, but you’re very much in our thoughts. I want to especially extend my best wishes and thanks to Art Gardenswartz for his incredible leadership and vision this past year. Our community is blessed to have this champion as our champion. It is my great privilege and honor to begin my service as President of the Jewish Federation of New Mexico. Taking the reins from my buddy Hank Crane is no easy task, but I’m confident that with the great JFNM Board I will have the support to assume this role with full confidence. For the past decade, New Mexico has been more than a home to me – it has been the place where I have been able to realize the values of the Judaism in which I was raised through tzedakkah and acts of loving kindness. 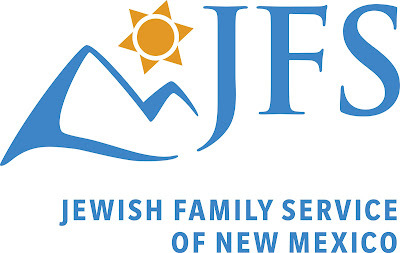 Although I was raised in a strong Jewish community, I admit that I never understood more fully the power and pleasure of Jewish involvement than when I committed my passion and time to the Jewish Federation of New Mexico and the agencies that collaborate so vitally with JFNM. Like you, I’m involved in the Jewish community because I believe we have a responsibility to one another. A charity in New York City recently conducted a survey of volunteers who compared their involvement to a runner's high - when a person runs and exerts, but instead of feeling more stressed, he or she feels more relaxed and joyous. In short, commitment makes us all feel good while doing good. Over the next year, it is my goal to help this community develop a better understanding of the work that our Federation and its network of beneficiary agencies perform every single day to strengthen our Jewish community in New Mexico, Israel, and around the world. The needs in our community are never-ending, and addressing these needs requires the ongoing engagement of funders and friends who are willing to meet these challenges with their philanthropy, talent, and time. To be sure, Federation is more than just a place where you pay your pledge: it’s also the place where we can create new programs, sustain existent ones, or simply help maintain the network of agencies that work everyday to save and build Jewish lives. As President, I will work hard to build on our many strengths while exploring new opportunities. In particular, it is my goal to help the Jewish Community Endowment Foundation of New Mexico, under the extraordinary leadership of Erika Rimson, grow to meet the needs of generations to come. 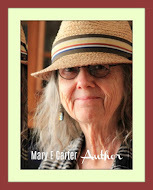 As a mother and grandmother, that is my personal challenge and my obligation. At JFNM, we respond to Jewish needs wherever and whenever they emerge through our Jewish values. Indeed, the essential Jewish activity of raising funds and planning for our present and future is at the very heart of our mission. But Federation is the sum of many parts: our partner agencies and the congregations that have joined with us to create relationships marked by trust — sharing thoughts, information, concerns, and ideas openly, and keeping the focus on one question — what kind of community do we want to be? I look forward to working with all of you to answer that question for today, tomorrow, and for generations to come. By Anne Garcia-Romero. As Abq Jew was thrilled to announce back in May: Camino Real Productions, LLC and Albuquerque's National Hispanic Cultural Center are honored to present the world premiere of Paloma by Anne García-Romero, a contemporary play inspired by The Ring of the Dove, a medieval Spanish Muslim treatise on love. How did Muslims, Christians and Jews coexist peacefully in eleventh century Spain, when religious intolerance persists in present day U.S. society? Paloma is the beginning of the playwright's answer. Paloma explores the lives of Ibrahim, a Moroccan-American and practicing Muslim, who falls in love with Paloma, a woman of Puerto Rican descent and nominal Catholic, while they study ancient Muslim Spain at New York University in 2003. The couple soon travels to Spain where they grapple with their religious differences. 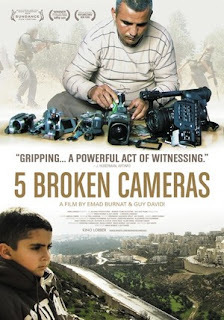 The play also toggles between various months in 2004 as Ibrahim and Jared, his friend and lawyer who practices the Jewish faith, face legal ramifications resulting from Ibrahim and Paloma's relationship. In a way, this play is my prayer for greater coexistence in our present age. With economy and grace, Anne García-Romero has crafted a gentle romance against the harsh backdrop of religious and ethnic conflicts. The story of Paloma and Ibrahim is so compelling and rich that we are reminded of those other romances of literature where tradition, racial strife, and social and religious barriers conspire to separate young lovers who belong together. Perhaps the biases that prevent the Montagues and Capulets from supporting their children's love are not so different from those of the Ahmed and Flores families. So as this play speaks of today's issues with a current voice, and searches for a time in history when these problems might have been resolved with equanimity, we are prompted to understand a little better our own biases and those of our neighbors. You can read the Albuquerque Journal's review of the play here. And the July issue of abqARTS.com has an article about the play here. 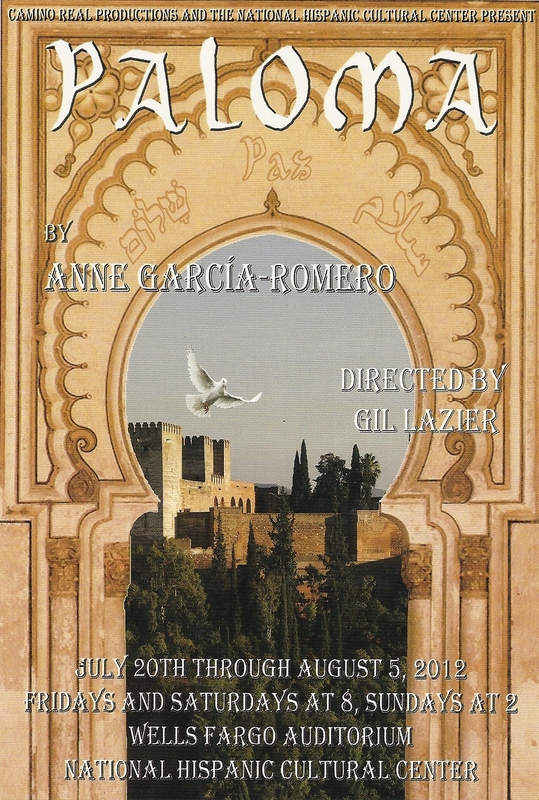 This is a professional production starring Lena Armstrong as Paloma, Abraham Jallad as Ibrahim, and Ron Weisberg as Jared Rabinowitz, directed by Gil Lazier, with set and lighting design by Richard Hogle. There will be a lecture on la convivencia before each matinee. After each performance, there will be a talk-back about the issues of peaceful coexistence the play raises. You are invited to become part of the conversation. Making Connections to Judaism: Congregation B'nai Israel invites the community to the fourth lecture in its Making Connections to Judaism Speakers' Series. Evening lectures (7:00 - 8:00 pm), each preceded (6:30 pm) by a lite dinner. Community Rabbi Min Kantrowitz speaks about modern Jewish American family life in Albuquerque and beyond. What’s a Jewish family today? What makes a family Jewish? We’ve come a long way from the norm of a Jewish mom and a Jewish dad living together, married, raising Jewish children. That family constellation, of Morris and Sadie, with their children Abe, Marvin, Ethel and Frieda gathering around the Shabbos table for a kosher chicken dinner every Friday night, with occasional visits from Bubbie and Zayde who lived not too far away, is a rarity now. The talk will discuss issues of geographic diversity, ethnic diversity, religious diversity and great variety of familial configurations that make up the majority of Jewish families today. 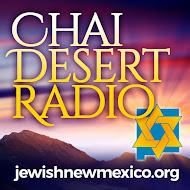 Rabbi Min Kantrowitz is the Director of the Jewish Community Chaplaincy Program of Jewish Family Service of New Mexico, which provides spiritual support and pastoral care services to thousands of unaffiliated Jews. 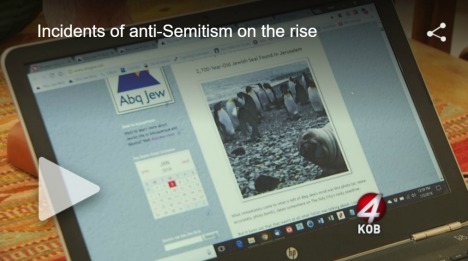 Rabbi Kantrowitz also directs the Albuquerque Community Chevre Kaddisha, facilitates grief support groups and conducts Healing Groups for Jewish survivors of domestic abuse. 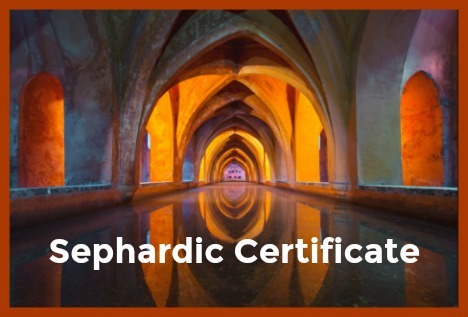 She is a sought after speaker and teacher, having conducted services, workshops and lectures in Europe, California, Montana, Arizona, and across New Mexico. 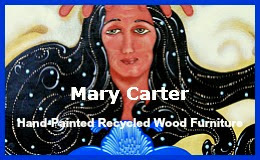 She received her Rabbinic Ordination in May 2004 from the Academy of Jewish Religion in Los Angeles. 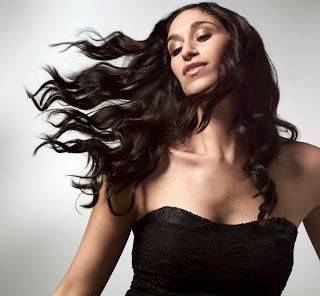 In addition, she holds a Bachelors Degree in Psychology and Masters Degrees in Psychology, Architecture, and Rabbinic Studies, as well as a Masters of Science in Jewish Studies. 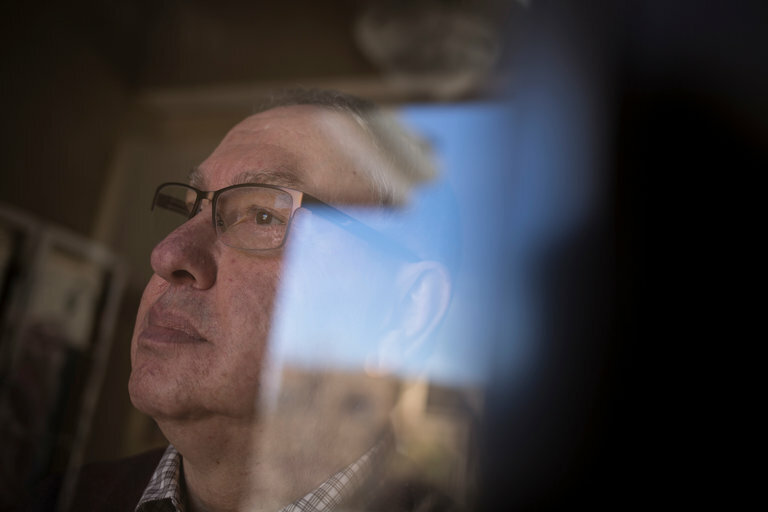 Aliyah Means Going Up: It is so good to see that American Jews, young and old, still do make aliyah. 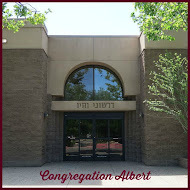 Abq Jew has a video below of the latest Nefesh B'Nefesh arrivals. But who were the first? Bilu is an acronym based on a verse from the Book of Isaiah (2:5) "בית יעקב לכו ונלכה" Beit Ya'akov Lekhu Venelkha ("House of Jacob, let us go [up]"). The wave of pogroms of 1881-1884 and anti-Semitic May Laws of 1882 introduced by Tsar Alexander III of Russia prompted mass emigration of Jews from the Russian Empire. 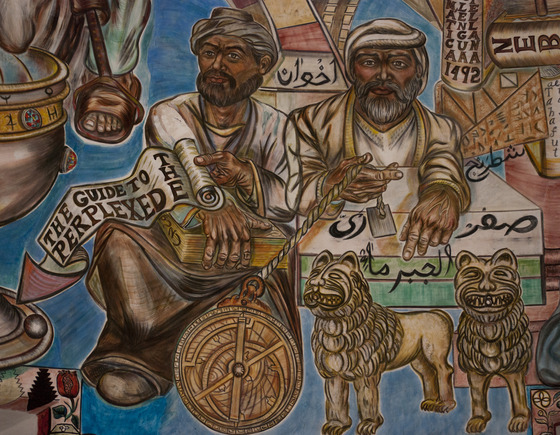 In July 1882, the first group of Bilu pioneers arrived in Ottoman Palestine. The group consisted of fourteen university students from Kharkov led by Israel Belkind, later a prominent writer and historian. 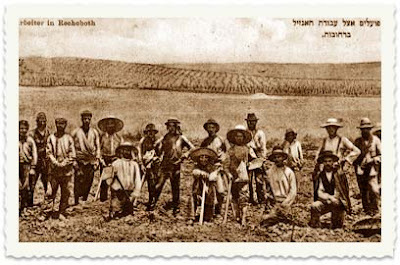 After a short stay at the Jewish farming school in Mikveh Israel, they joined Hovevei Zion colonists in establishing Rishon LeZion ("First to Zion"), an agricultural cooperative on land purchased from the Arab village of Ayun Kara. Plagued by water shortages, illness and financial debt, the group abandoned the site within a few months. 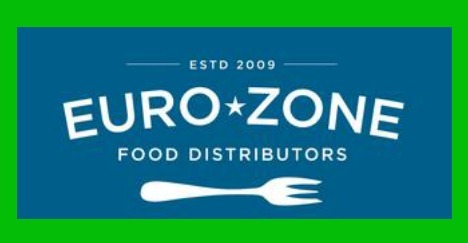 They then sought help from Baron Edmond James de Rothschild and Maurice de Hirsch, who provided funding that led to the establishment of the local wine industry. In 1886, construction began on a winery in Rishon LeZion that became a successful wine-exporting enterprise. Here's a L'Chaim to all the pioneers - past, present, and future! Jewish Books Being Printed Throughout New Mexico: Hot news from Raton and elsewhere in the Land of Enchantment - Abq Jew has learned that the Chabadniks are coming, and they're bringing Tanya with them. 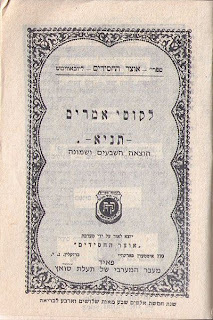 The Tanya (תניא) is an early work of Hasidic philosophy, by Rabbi Shneur Zalman of Liadi, the founder of Chabad Hasidism, first published in 1797. 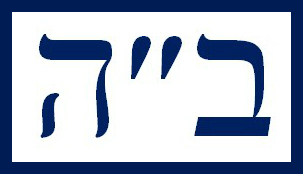 Its formal title is Likkutei Amarim (ליקוטי אמרים, Hebrew, "collection of statements"), but is more commonly known by its opening word, Tanya, which means "it was taught in a beraita". It comprises five sections that define Hasidic mystical psychology and theology as a handbook for daily spiritual life in Jewish observance. The Tanya is the main work of the Chabad approach to Hasidic mysticism, as it defines its general interpretation and method. The subsequent extensive library of the Chabad school, authored by successive leaders, builds upon the approach of the Tanya. Chabad differed from "Mainstream Hasidism" in its search for philosophical investigation and intellectual analysis of Hasidic Torah exegesis. This emphasised the mind as the route to internalising Hasidic mystical dveikus (emotional fervour), in contrast to general Hasidism's creative enthusiasm in faith. As a consequence, Chabad Hasidic writings are typically characterised by their systematic intellectual structure, while other classic texts of general Hasidic mysticism are usually more compiled or anecdotal in nature. 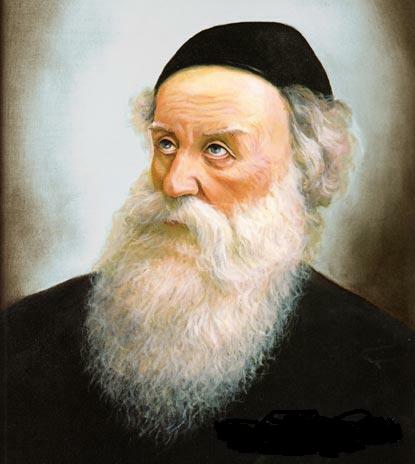 The founder of Chassidisim, the holy Baal Shem Tov, in a famous letter to his brother- in- law, printed in 'Kesser ShemTov' writes, that on Rosh Hashanah, 1747, he experienced an elevation of the soul to the celestial spheres. 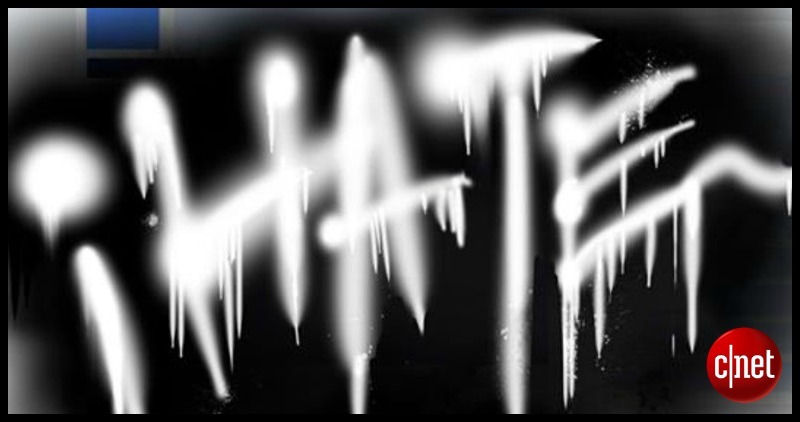 When he came to the abode of the righteous Moshiach, (a Jewish leader like Moses, a paternal descendent of King David, who will redeem each and every one of us from exile and usher in the completion of G-d's plan of creation, when, as the Maimonides states, there will be no war, no jealousy or famine, all people will live in true peace and harmony, delicacies will be as abundant as dust, and the entire world will be involved in higher endeavors, knowing G-d, and the world will be filled with the knowledge with G-d, as the waters cover the seas, thus, bringing heaven down to earth). The Baal Shem Tov asked our righteous Moshiach, "When will the Master come?" Moshiach responded, "When your wellsprings shall spread forth to the outside." The Baal Shem Tov was the founder of Chassidus teachings and the Chassidic movement. Moshiach's answer meant that the world will be ready for his coming, when the wellsprings of Chassidus, (which is the soul of the Torah), would reach all Jews, i.e., Chassidus will pave the way for Moshiach's coming. Ever since, the dissemination of Chassidus doctrines and teachings, has assumed top priority. In 1796 the first Lubavitch/Chabad Rebbe, the Alter Rebbe, founder of Chabad Chassidism, published, what was to become known as the "Written Torah of Chassidism", the Tanya, revolutionizing Jewish thought forever. In 1984 the Rebbe, (7th Rebbe of Chabad), launched a world-wide campaign to print new additions of the Tanya, in every locale where Jews reside. He explained; that by printing Tanyas locally, we ensure that ALL Jews have the wherewithal to study its teachings. It also fulfills the answer of Moshiach to the Baal Shem Tov, that, not only the Baal Shem Tov's teachings spread forth, but also the wellsprings themselves, which is the source of the teachings. This means, that the source of the Tanya, becomes every locale where Jews reside, through printing it locally. The Rebbe added that when a Jew sees that the Tanya he/she holds is an edition that has been printed in his/her very own city or town, he/she will be more enthusiastic about studying it. This summer ... Chabad of New Mexico will be embarking on a monumental project, to print new editions of the Tanya in every locale throughout the state of New Mexico. This will also be the first time, since creation, that many of our cities and towns will receive the merit, of a holy Jewish sefer (book), being printed in its very own neighborhood. Chabad will have Rabbinical students, traveling throughout the state, with all necessary printing equipment, and stopping in every locale where Jews reside. There, they will print a new edition (of at least one-hundred copies) of the Tanya. We encourage and ask all Jews to please participate in this monumental event, by joining or hosting the students and join in the studying from the new Tanyas, hot-off-the-press! Also, please forward this email to your local friends. To date, over six thousand (!) unique editions have been printed in cities from Shepperton, Australia, to Alma Ata, Kazakhstan, from Juan, Sweden, to Reykjavik, Iceland. 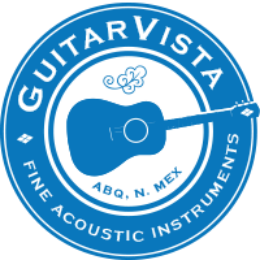 Before arriving in each city in New Mexico, the central Tanya printing office, responsible for coordinating the worldwide operation, will assign an individual edition number and title page for our Tanya. Did you know, that in the back of each Tanya, it lists all six thousand editions and which city they were printed in? Following every printing, the students will celebrate for approximately one hour, sharing their experience, studying together from the new editions, and celebrating with snacks, drinks and L'chaims. In smaller communities, we can definitely use local help & knowledge with direction, logistics and getting the word out. Chabad will be printing new editions of the Tanya in every city or town were Jews reside in New Mexico, even if there resides only one Jew! Since years ago, Albuquerque and Santa Fe have already merited to have editions printed, a second edition will not be necessary. Nonetheless, we encourage all Jews in Albuquerque and Santa Fe to participate in neighboring locations. 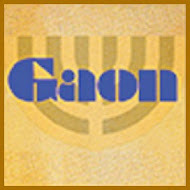 Abq Jew has it on reliable authority that the Chabadniks will be visiting Raton on Wednesday July 11. As for future itinerary & schedule - please contact Chabad of New Mexico at 505 880 1181. Or you can call the students directly at 347 987 0771. Baseball lovers! Hot dog lovers! This is the guy we gotta thank for making it a real mechaya to watch the Albuquerque Isotopes play! Even when they lose - we win! Jay is a graduate of Baldwin High School on Long Island (wouldn't you know) - and he's certainly come a long way since then. He joined Ovations in 1999 (when they had 3 accounts) and helped open Isotopes Park in 2003. In 2005, Jay briefly left Ovations - but took the opportunity to work at Detroit's Ford Field (home of the Lions & Super Bowl XL); Chicago's Wrigley Field; and the Las Vegas (NV) Motor Speedway. Ovations Food Services welcomed Jay back in 2008. These days, Ovations has over 100 accounts. But Jay (we hope) will be staying in Albuquerque, where he is in charge of not only the Hebrew National Hot Dog cart, but, in fact, all food served at Isotopes Park. 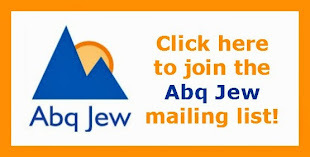 So, Abq Jew is sure you readers want to know - why Hebrew National? The main reason, Jay says, is "no heartburn." But really ... Jay heard through a friend that Hebrew National wanted to expand out West. So he called them up and said "Get me a cart! We'll try it." The rest, as they say, is history. The Hebrew National cart is among the most popular at Isotopes Park. Jay is even thinking about adding another, so fans don't have to walk quite so far to get premium, 100% beef, kosher hot dogs. With trimmings. Quality and value - that's what Jay is going for. He's got five managers working for him, and a team - another key word - of customer service experts working for them. And no turkeys in the bunch, says Jay. "You can't hire turkeys if you want to soar like eagles." Yeah, sounds like hype. But when Abq Jew visited Jay "at the office," he saw how Jay and his people greeted and treated each other. 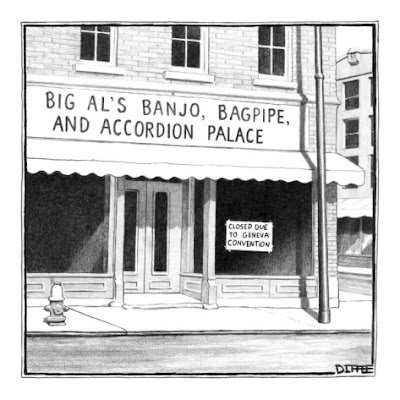 Maybe Jay's got something here. And in the meantime - we've got hot dogs! The 'Topes are back at 6:05 tonight for a game against the Round Rock Express - to be followed by the carefully managed traditional 4th of July fireworks. Enjoy! Say hi to Jay! Guard the Earth - Basic Jewish Value #2: The mission statement of Jewish Family Service of New Mexico reads: “Guided by Jewish values, we offer targeted social services that help preserve and improve the quality of life for New Mexicans.” What are these Jewish values? How do they help guide the day-to-day work that we do at JFS? When new employees join the staff of JFS, they are introduced to eighteen of these basic Jewish values. This refers to the idea that we all have the responsibility to take care of the earth and all within it; it's the ultimate ecological message, recognizing the deep interrelationship among plants and animals, soil and air, people and mountains. The impact of industrial activity in one part of the world on the agricultural productivity in another part of the world demonstrates how each of us is connected, whether directly or indirectly. In Jewish tradition, all things are on loan to us, for safekeeping, for nurturing, and for improving the world into which we were born. 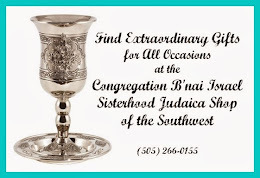 For the staff, partners and donors who sustain Jewish Family Service of New Mexico, this implies a commitment to sharing the bounty with which we've been blessed-- economic resources, expertise or energetic commitment (or, in many cases, all of the above!). Sharing food, providing transportation, volunteering, giving hope, extending quality of life, improving social opportunities, and helping sustain some of these activities through generous contributions are all specific examples of acting in accordance with this value. When we appreciate all we have, and act to share that bounty, we are choosing to be responsible guardians of this amazing world in which we are blessed to live.